Black-browed Albatross – distinguished by its distinctive combination of white head and neat black brow. 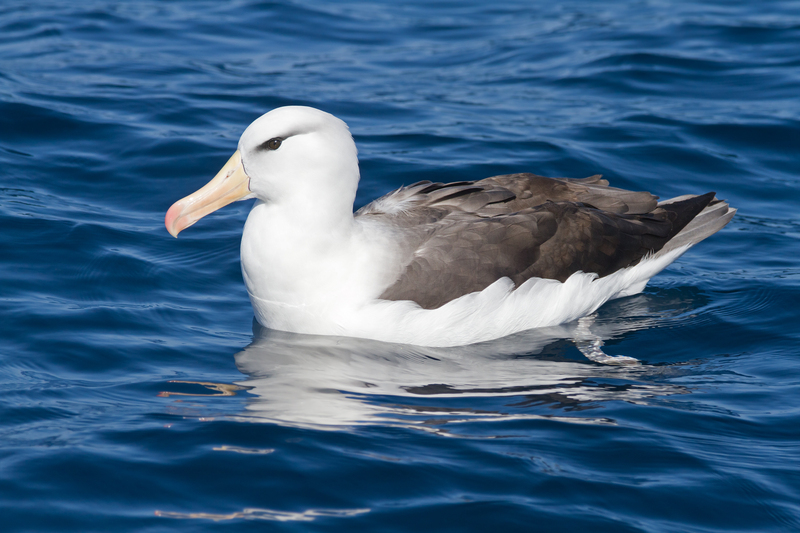 The Black-browed albatross can have a wigspan of up to eight feet and can weigh up to 10 pounds! Black-browed albatrosses are the most widely distributed of all albatross species. Of all the albatross species they may face the greatest threats from fisheries.